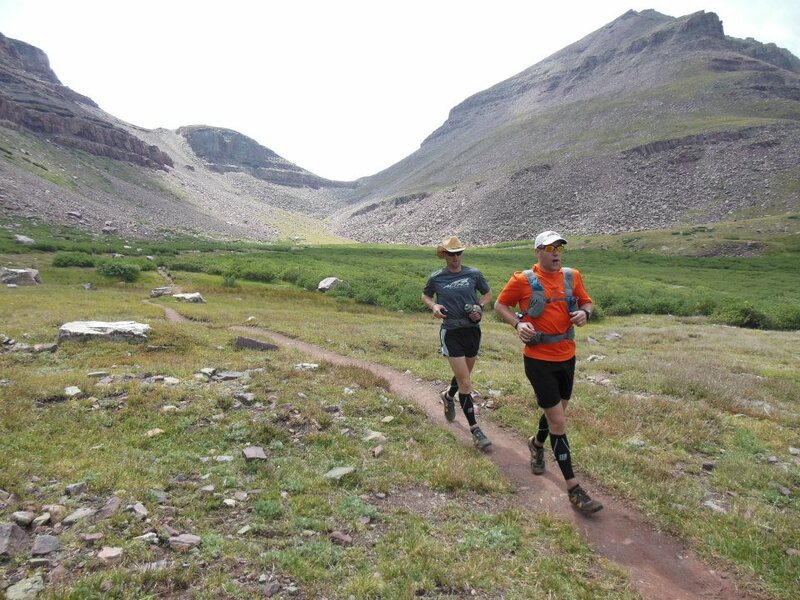 The Sacucony Peregrine 7 is the latest iteration of their lightweight trail running shoe. Coming in at 9.4 oz for men, and 8.4 oz for the women, the Peregrine is closing in on perfection. 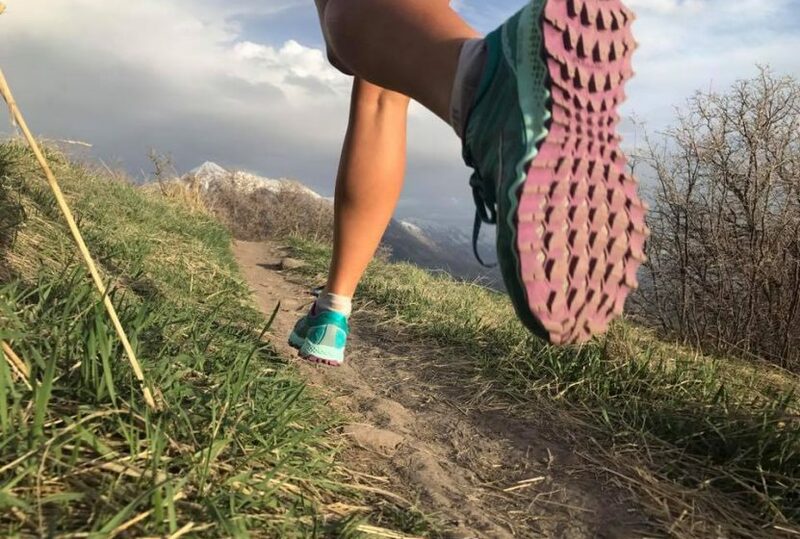 The weight, directional lugs of the PWRTRAC outsole, new TPU exoskeleton and full length Everun cushioning of the Peregrine 7 provides exceptional performance under all conditions. 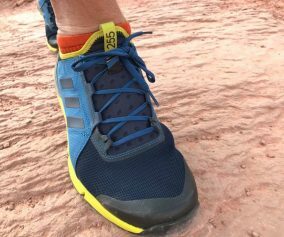 The biggest changes from the Peregrine 6 include the TPU exoskeleton, the full length Everun sole and the loop style lacing system. The TPU exoskeleton replaces a majority of the stitching that remained on the Peregrine 6. This exoskeleton supplies the form of the shoe as well as protection. The mix of exposed fabric vs TPU feels balanced; the shoes is able to drain and breathe well while providing a comfortable structured feel around the foot. 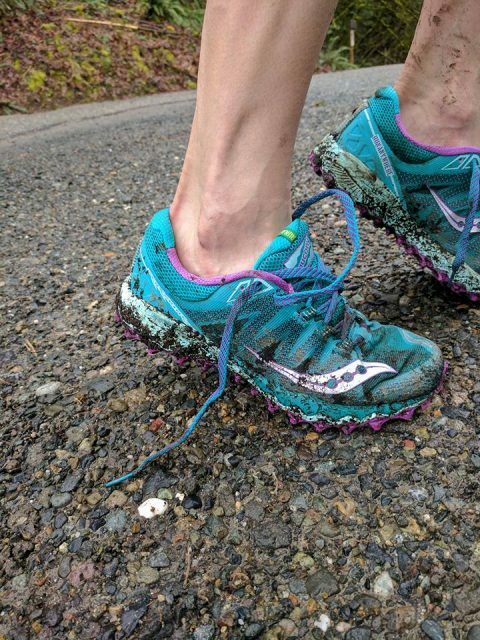 Saucony refers to Everun as “continuous cushioning”. The Peregrine 7 now has Everun the full length of the sole. Information provided on the Saucony site claims Everun does not break down and provides an 83% return of energy. 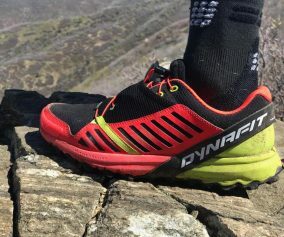 Should be noted that some reviewers also said the heel cup is softer and more comfortable. 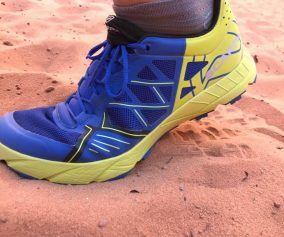 The strengths of the Peregrine 7 come in the form of a remarkably well balanced shoe. 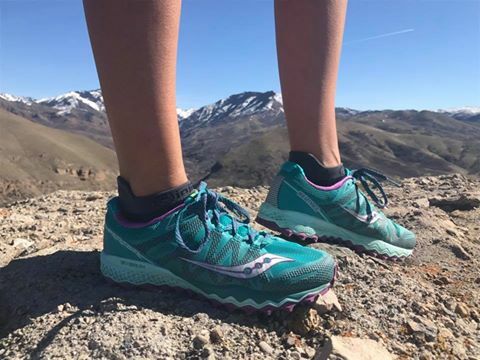 Not only is this shoe light but provides a ride that is cushioned while still maintaining a feel for the trail; tough balancing act that Saucony has gotten close to perfect. As mentioned above the TPU to mesh structure of the shoe is very well balanced. Additionally, the toe box is comfortable for the average foot. 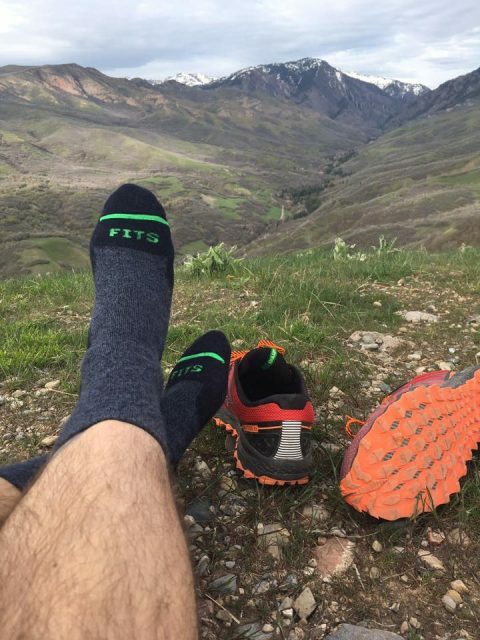 Also, the PWRTRAC outsole with it’s directional lugs can handle any terrain. We’ve tested across snow, loose rock, sand, mud while on flat and inclines/declines of up to 1800′ per mile. This shoe can run through it all. 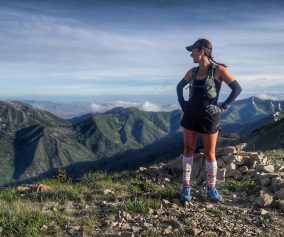 It’s hard to find weaknesses in the Peregrine’s game unless you have some specific structural needs such as an extra wide toe box, arch support or stability. Also, this shoe may not be a high mileage shoe but initial testing shows that it holds up well to 200 miles. 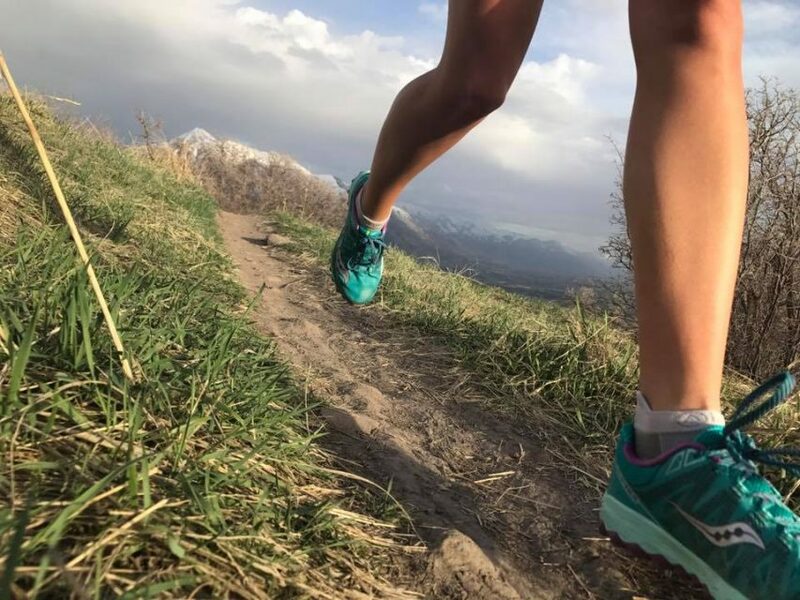 When it’s all said and done, if you’re a trail runner who has a neutral foot and is looking an extremely versatile shoe, this is a shoe we can recommend you try. I have been running in these for several months. The shoe provides excellent traction in all conditions and is durable. 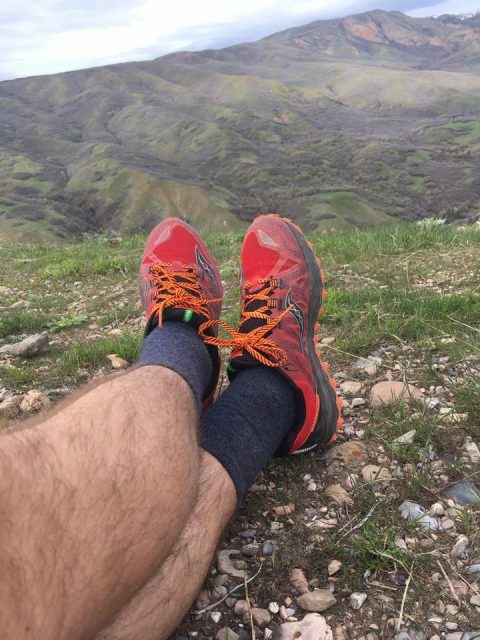 I have wide feet (E width) and the shoe is a little snug at times, but overall, a great trail running shoe.